Geoffrey Weary’s video and films: Scenes From A Shanghai Hotel, Failure to Materialise, and MUSEUM, collected by AVAA Australian Video Art Archive whose aims are to continue building an on-line video archive and a research collection of new and historical Australian video and performance art works http://www.videoartchive.org.au/gweary/shangai.html. 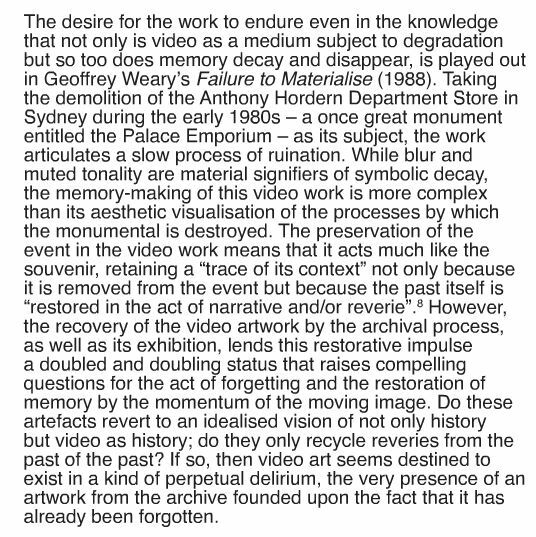 Geoffrey Weary’s video art was curated 27 September – 8 October 2010 in an exhibition VIDEO: Art From The Archive, Faculty Gallery, Monash University, Victoria, AUSTRALIA. 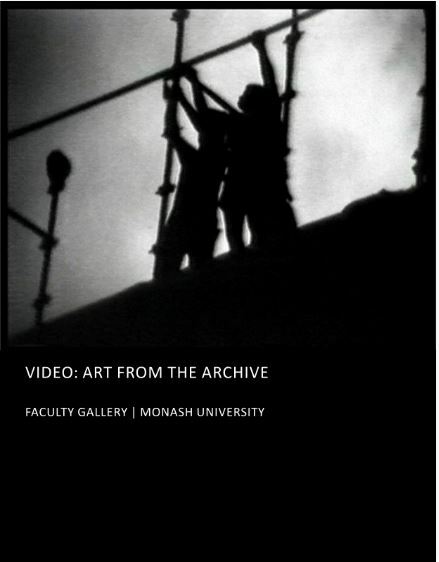 The exhibition catalogue was published with a curatorial essay in MADA (Monash University Art Design & Architecture) an online portal of Monash publications.